Dr. Maneesh Sonthalia, holding a M.Ch. In Plastic surgery and world-class renowned cosmetic surgeon is the top pioneer of hair transplantation surgery in Kolkata. He is also a partner of Smile Train Program, an initiative taken to help the underprivileged children with all the necessary medical help. He and his team have solved more than 2000 cases of hair transplant and patients come to him for this treatment from all over India and the world. He gives you an insight into the world of effective treatments and its impact on your life. With the modern medical treatments and techniques, there’s no reason you have to feel depressed about your receding hairline. Although a lot of commercial products and home-made remedies are available in the market, they often fail to give you the desired results. Only a tried-and-tested method like hair transplant offers the desired level of guarantee and satisfaction to its users. With more and more people becoming conscious about their appearance and personality, this hair restoration technique is gaining a lot of popularity among the common people. The entire process medically recognized as hair transplant/ hair grafting/ hair plantation, is about harvesting follicles from the back side of the scalp and planting them on the affected areas. After a certain amount of time, you’ll notice the growth of new strands on your head. This treatment is applicable for men as well as women. There are mainly three types of hair transplant treatments that we come across. 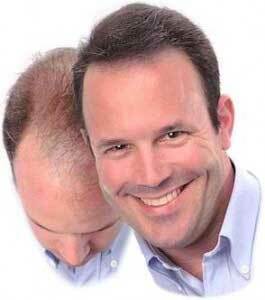 This is ideal for people with serious or average balding problems. In this type of surgery, a strip is harvested from the back of the scalp and follicular units are separated and implanted on the affected area. The closure is by telophytic method leaving practically no scar. There is no wastage in this method. In this process, follicular units are extracted from the back of the scalp. Punches are used for this harvest. Although this process doesn’t involve major/deep-cuts but there is wastage of follicles in this method. Hence this method is not very popular with trained hair transplant surgeon because of wastage. This is the rarest of all the three rules. Here, the bald stretch is surgically removed. Next, the dense area of the scalp is brought in front with the sole purpose of covering the bald area. This is also the costliest hair loss treatment among all the three types. Age – Although young men are more eager to go for hair restoration surgeries, it yields better results for aged people. Therefore, it’s advisable to opt for this surgery when you’re on the other side of 40. Donor area – Density varies from one person to another. Therefore, it’s very important to consider the donor area of your scalp when opting for transplantation treatment. If you have thick hair in the donor section of your scalp, then chances of bald coverage are quite high. General health conditions – Any kind of surgery, particularly cosmetic surgeries need you to be fit and healthy. If you’re suffering from diabetes or other health conditions, consult your doctor before undergoing the surgery. Is Kolkata The Best Transplant Destination? Hair transplantation in Kolkata has now become a leading trend. The surgery is carried out at the top-notch clinics where a team of certified professionals do the surgery. From the first consultation to the last phase of the surgery, it is always performed under strict hygienic conditions by a qualified transplant surgeon who specializes in transplant. One of the major reasons behind the growing popularity of medical tourism is the excellent health care facilities and affordable cost of hair transplant in Kolkata. When it comes to hair replacement, Kolkata is the most preffered destination in India and also for people coming from Bangladesh and other neighbouring nations. The regrowth of hair is 100% natural and is done under complete observation. You will get a detailed consultation before the surgery. You will receive a polite and cordial welcome at our reputable clinic. We always focus on hygiene. Optimum care and attention paid by our patient-friendly staff. The right medication facilities during and after the surgery. Free post operative examinations in our clinic. The transplant surgery is carried out at Prem Cosmetic Surgery by a team of experienced and certified surgeons. Dr. Maneesh Sonthalia has a team of experts who have already worked in this field for more than 10 years. We also provide our services to people in other States of India such as Odisha, Bihar, Jharkhand, Chhattisgarh, Assam, Meghalaya, Sikkim, Tripura, Arunachal Pradesh, Manipur, Mizoram, Nagaland and some neighbor countries like Nepal and Bangladesh. As you already know, looks and beauty dominate the present world. Perhaps you want a hair style like that of your favorite TV star, but what if you suffer from baldness? This problem is pretty common and sometimes even leads to rejection and loneliness. At Prem Cosmetic Surgery, we understand your situation and offer the high quality treatments possible. Once the process is complete, you’ll simply love your image in the mirror.